It has been a furiously chaotic day for Brexit developments, which considering the "organized" nature of the process to date, is saying something. Just a few hours after the embattled U.K. prime minister announced to the House of Commons she would "unexpectedly" delay the critical Brexit vote - facing certain and humiliating defeat - and return to Brussels to seek “assurances” from European Union leaders, the fate of any upcoming votes to ratify the deal is now in limbo. 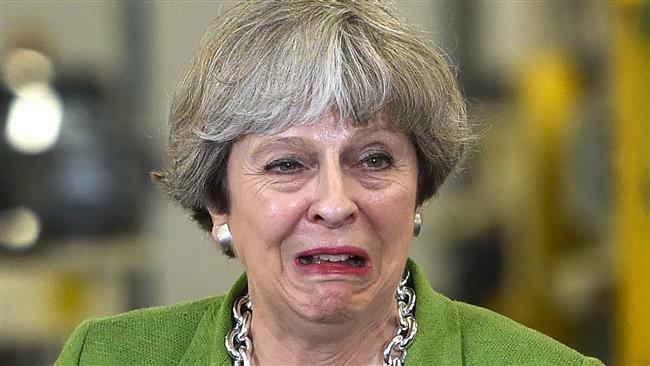 As ITV's Richard Peston reported, "it appears that UK PM May could keep the current talks with EU going well past January 21st "perhaps right up to Brexit day 29 March, and avoid any parliamentary Brexit vote," effectively eliminating a popular vote of disapproval for her process. That, as Bloomberg notes, raises the prospect that May will be back in Parliament in January with virtually the same deal, relying on tanking markets, a crashing pound and frightening no-deal preparations - including even more doomsday rhetoric from the Bank of England - to convince lawmakers to back her. Sadly for May, the parliamentary arithmetic won’t have changed, as only an election can do that. And an election is out of the question as May will almost certainly lose her job, potentially resetting the Brexit process back to square one (or perhaps minus one). Meanwhile, with the Brexit vote in parliament indefinitely postponed, the UK Parliament will debate the vote delay for three hours on Tuesday according to House of Commons Speaker John Bercow, assuring even more drama and chaos. The debate was demanded by opposition Labour Party leader Jeremy Corbyn, who said May has shown “disregard for Parliament and the rights of this house” by making a “unilateral” decision to delay vote on her Brexit deal. While the debate won’t be binding on May’s government, contributions "will reflect anger" at May avoiding what was predicted to be a heavy defeat of her deal in House of Commons, according to Bloomberg. Even so, Corbyn won't table a "no confidence" motion against Theresa May's government until there's been a formal vote on the withdrawal agreement, effectively trapping May in a no way out situation. And while the domestic chaos hit previously unseen levels, in Brussels European Council President Donald Tusk called a leaders’ meeting on Brexit for Thursday, but made it clear that the EU "will not renegotiate the deal" even as he tweeted that "we are ready to discuss how to facilitate ratification." Amusingly, it's not just Europe that refuses to renegotiate the deal: Irish PM Leo Varadkar was also on the tape re-iterating that the deal cannot be renegotiated. All this is happening as May’s critics hate the agreement she negotiated because, as BBG notes, they think she’s allowing the U.K. to be trapped in the EU’s orbit indefinitely - a situation they consider even worse than current membership. To that end, the Daily Mail's tweeted that Brexiteers claim to have heard of "a couple more" letters of no confidence in Theresa May going in tonight, which means that should the total surpass 48, May's cabinet may fall even before a vote in Parliament is held... if one is held to begin with. If that wasn't enough, juggling a seemingly infinite number of variables, May said the government will step up preparations in case Britain does crash out of the bloc on March 29, which is less than 4 months from now. She once again brought up the threat of no-deal - the worse-case scenario for business - as a weapon to try and bring rebellious Conservatives on both sides of the Brexit debate into line. To be sure, as the Brexit chaos hits previously unimaginable levels, traders no longer are able to follow every twist and turn in this melodramatic tragicomedy, and appears to be resigned to just sell the pound as it now appears that the only thing that can get the pound to surge - i.e., get a Brexit deal - is if the pound first crash. It did so today, with sterling hit the lowest since April as the market either judged that the risk of no-deal Brexit has increased, or realized that the only way to get a deal is to scare parliament into voting for May's deal. So what happens next? Nobody knows. As Bloomberg reports when pressed by members of Parliament to tell them when she would bring the deal back, May refused to answer, saying only that Jan. 21 served as a deadline because it’s the date in the law when the government has to report back to Parliament on what it’s doing if there’s no deal. "The worst case is no vote until January 21,” according to Societe Generale SA strategist Kenneth Broux, adding that the longer it takes, the lower the pound is likely to fall.